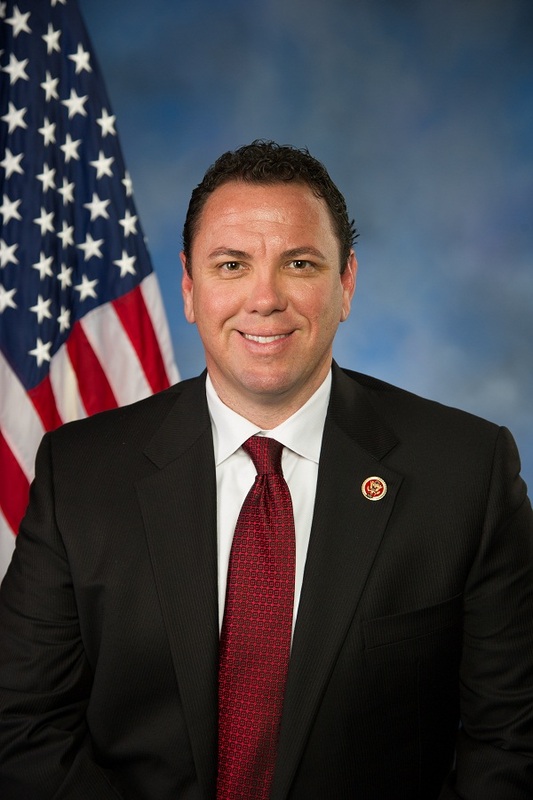 Vance McAllister, a small business owner, is currently serving his first term in the U.S. House of Representatives. Vance is proudly representing the people of Louisiana’s Fifth Congressional District which is geographically the largest in the state of Louisiana, covering 24 parishes… It is an honor for him to serve his country and the people of Louisiana… Vance and his wife of 16 years, the former Kelly Duncan, reside in Swartz and are the proud parents of 5 children. This entry was posted in Tall Tales on April 8, 2014 by editor. This entry was posted in Tall Tales on March 12, 2014 by editor. This entry was posted in Tall Tales on March 10, 2014 by editor. “The youngest of the Bunyan boys, (Paul’s family), Cal S. Bunyan, built the most wondrous railroad in the world: The Ireland, Jerusalem, Australian & Southern Michigan Line. It took the largest steel mill in the country two years operating on a schedule of 36-hour days and a nine-day week to produce one rail for Cal. Each tie was made from an entire redwood tree. The train had 700 cars. It was so long that the conductor rode on a twin-cylinder, super deluxe motorcycle to check tickets. The train went so fast that, after it was brought to a dead stop it was still making 65 miles an hour. After two months of service, the schedule was speeded up, so that the train arrived at its destination an hour before it left its starting point. 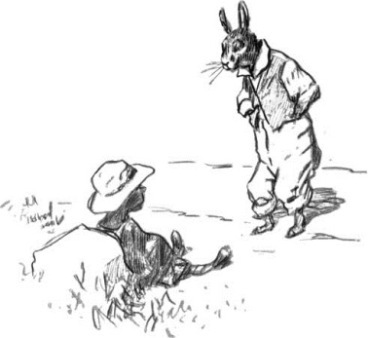 “One day Cal said to the engineer, “Give ‘er all she’s got!” That was the end of the I.J.A.&S.M. Railroad. The train traveled so fast that the friction melted the steel rails and burned the ties to ashes. When it reached the top of the grade, the engine took off just like an airplane and carried itself and the 700 cars so far into the stratosphere that the law of gravity quit working. That was years and years ago, but the I.J.A.&S.M. is still rushing through space, probably making overnight jumps between the stars. 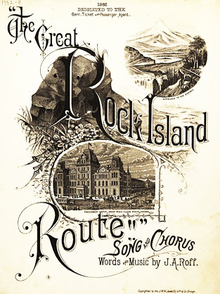 The “Wabash Cannonball” as a song was first documented on sheet music published in 1882, titled “The Great Rock Island Route” and credited to J. A. Roff. Through hills and by the shore. And Chicago by the way. In the courts throughout the land. The Carter Family were one of the first to record the song. This entry was posted in Tall Tales on December 16, 2013 by editor.